A new offer for 2018-19: Bespoke itinerary and exclusive one-to-one tour guidance, advice and hospitality with Cornwall history, arts and culture expert Karen Colam. Priced per day, please contact us to check availability and tell us about your wishes before booking. Please contact us before making your booking. You can even book a call with Karen. 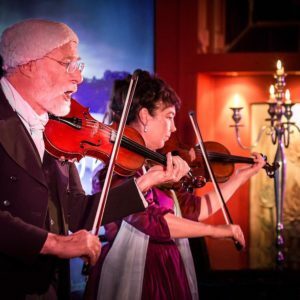 Poldark’s Cornwall continue to offer the only Poldark themed holidays that immerse you in the true spirit and drama of Poldark. But to guarantee your tour with Karen Colam, and to ensure your tour is not joined by other parties, you can now book an exclusive 1-1 tour. 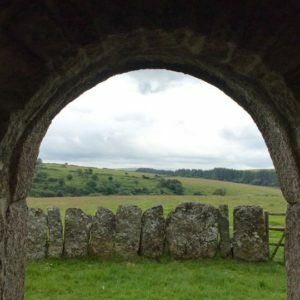 Karen will work with you to create a completely bespoke tour aimed at providing you with unparalleled insight into Cornish history and popular culture. Late bookings for a few dates in Autumn and Winter 2018 still available on application. Book NOW for 2019 to get your chosen dates at 2018 prices. Staying at accommodation specifically selected for you and with travel options selected according to your budget, you will have access to your very own bespoke itinerary. The world of Cornwall is your oyster! 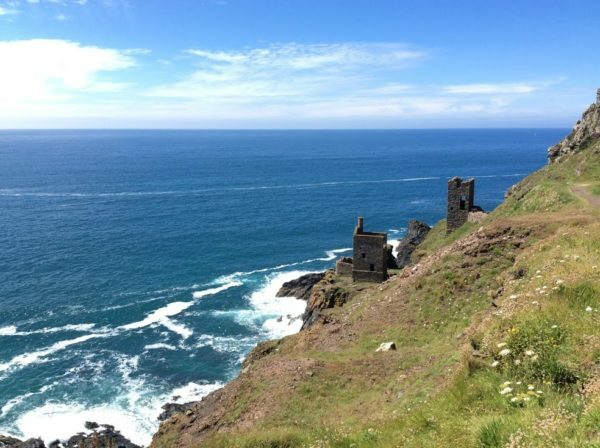 You can select any or all of the comprehensive and fully-guided tours of the major locations used in the current BBC production of Poldark or the original 1970’s series; or the inspirational places that author Winston Graham used for his Poldark novels. You can incorporate any of Cornwall’s other beauty spots, historic houses and gardens, heritage sites and show-stopping attractions. We will ensure there will be free time in the evenings to relax and enjoy Cornwall’s laid-back vibe. Perfect for a couple or a small group of friends who want Karen’s exclusive attention. Transfers both ways to Cornwall Airport Newquay or Truro Station can be easily arranged and other pick up points as required. Pricing – £500 per day plus accommodation and travel bookings. Limited to four people. Contact for details. Friday: Arrive NQY airport and transfer to your chosen hotel via chauffeur-driven service. Dinner, Bed and Breakfast. Saturday: Experience a little of the coast that makes Cornwall and the Roseland Peninsula unique. Chauffeur-driven limousine to St Mawes to pick up the Enterprise Boat up the River Falls to Truro. One of Cornwall’s most beautiful boat trips, sailing along the Fal River between Falmouth and Truro calling at Trelissick (home of Sir Ralph Daniell, who regularly entertained the Poldarks after Ross’ rise to political power). On the rest of the journey up river you will see Tregothnan (home for the Boscawen family who do indeed still hold the title of Lord Falmouth) and also pass the Smugglers Rest where Eisenhower signed off the final plans for Operation Overlord (The D-Day landings) and from where he himself set sail to amass his mighty fleet for the assault on the Normandy beaches at Omaha and Utah. When we arrive at Truro we land at Malpas which was the provincial and unexciting parish held by the vile Rev. Osborne Whitworth. A break here for a light lunch at The Heron Inn and from there visit Truro to see where The Red Lion Inn was and the other important historical landmarks. In the afternoon visit The Lost Gardens of Heligan for a gentle walk through these remarkable gardens before retiring for the evening. Sunday: Collected at 10.00 am: drive to Lanhydrock. This is the largest of the stately homes owned and run by the National trust in cornwall. In the 1970’s series of Poldark it “played” the home of Sir Francis Bassett, Tehidy, and for fans of the period drama Downton Abbey, it resonates as a wonderful example of a house and family that suffered the ravages of the Great War. After Lanhydrock it is a good idea to rest and take some lunch. On to Charlestown, where all the maritime scenes for Poldark and many other productions are filmed. After a tour of the port and the harbour and boarding one of the ships that features in the series take a scenic drive through the Roseland Peninsula via Caerhays Castle, which Poldark afficicandos will recognise as the family home Jeremy Poldark’s love: Cuby Trevanion. Return to the hotel. Monday: Check out of your hotel. Take the King Harry Ferry to Trelissick and then drive to Falmouth then on to Helston through one of the richest tin and copper mining areas of old Cornwall; Wendron Parish. We will visit the Church of the Storms at Gunwalloe where Dwight and Caroline got married and also the twin beaches of Church and Dollar Coves where the night wrecking scene of the Queen Charlotte was filmed for Season one. Lunch at the Halzaphron Inn overlooking the sea west of the Lizard peninsula. Then a visit underground in an actual tin mine which was used for some of the underground sequences OR (as going underground in confined spaces isn’t everyone’s cup of tea!) taking the coastal road to visit the iconic tidal island of St Michael’s Mount. Check in at a different hotel for dinner, bed and Breakfast. Tuesday: Collected from the hotel at 10.30 am to allow you a little time to have a swim or relax a little by taking a lovely walk on their privately owned beach. We will then visit all the West cornwall Poldark locations starting with: Penberth Cove which features as the village of Sawle and houses Rosina and jack Hoblyn’s cottage, Sam and Drake’s cottage, some famous stepping stones and an iconic slipway. After leaving Penberth we will drop into the amazing Minack Theatre to see what the determination of one woman achieved in her lifetime. The Minack is a natural stop for a light lunch and a sit down too and overlooks the Poldark beach location of Porthcurno. A short drive along the coast and we stop at Porthgwarra to see the beach where they filmed the famous season one skinny dipping scene and the pilchard harvest before a clifftop walk to Gwennap Head and the breathtaking cliffs cape that accentuates the drama of so many Poldark moments. 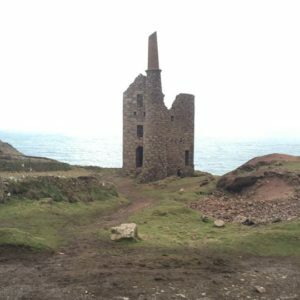 We then cross over to the north coast to visit the iconic mines at Botallack that feature in the series as Wheals Leisure, Grace and Grambler. An amazing experience whatever the weather! On the way back to your hotel, if time permits, we will drop into Polgoon vineyard to sample the wines. Wednesday: Check out of your hotel for 10.00 am. Drive through the heart of Sir Francis Bassett’s mining country via, Illogan (“Luggan”, where Demelza comes from) and past the real Tehidy estate to St Agnes Head where Ross and Demelza have had some of their most emotional moments, on through St Agnes and it’s curiously named “Stippy Stappy” Lane which Prudie threatened to kick Jud down and onto Perranporth, the real “Sale” where Nampara is set and where the real Wheal leisure provided an income for a whole community. On the way, take the little lanes that Winston Graham refers to in his text and spot where Demelza picks blackberries them with her children. Lunch in Perranporth before driving to Holywell beach for the spectacle of the “Hendrawna beach” of the series. After lunch drive to Padstow to check in at a third hotel of your choice. Explore Padstow for the remainder of the day. Thursday: Collected at 10.30 am. Drive to the picturesque fishing village of Port Isaac where the hit series Doc Martin is set and take a walk through its pretty streets. After Port Isaac we will drive up onto Bodmin moor for a private tour of Ross and Demelza’s home “Nampara”. Here you may meet livestock that featured in the show and walk all the farm areas where Ross and Demelza have made their life together. Lunch at the local pub The Blisland Inn or drive straight to Camel Valley vineyard for a tour of the winery and sampling of the most famous of Cornwall’s vintners. Return to your hotel via Prideaux Place, where Winston Graham finished writing Bella Poldark only a year before his death in 2003. Dinner. Friday: Check out of your hotel. Pick up at 11.00 to allow a leisurely start on your departure morning. Drive to Tregothnan for a private tour of Lord Falmouth’s great garden which covers more than hundred acres and which features the only commercial tea plantation in England, after which take a home-grown cream tea in their pavilion. Afterwards a drive to Trerice Manor near Newquay which is the Tudor mansion on which Winston based his idea of Trenwith. After a short visit to this compact mansion we will take a coastal drive to the stone sea stacks: Bedruthan Steps for final pictures before being transferred the airport in plenty of time for your flight to London and global connections.